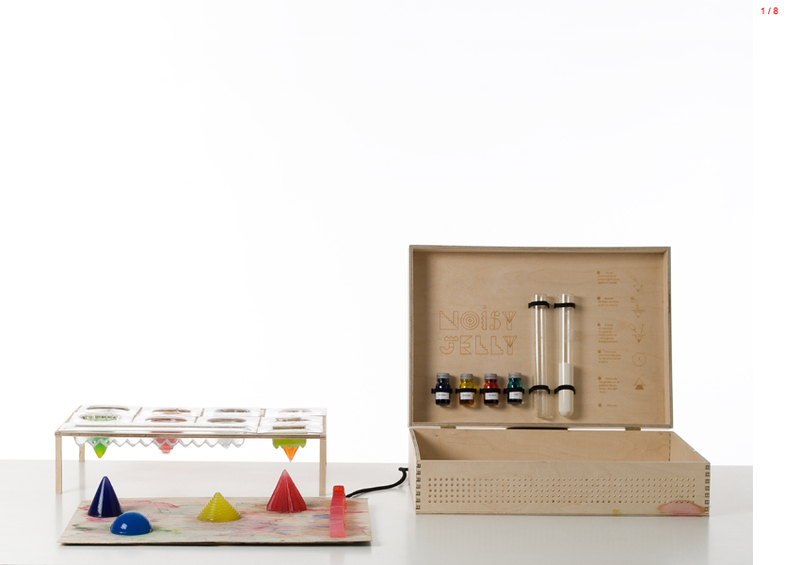 Noisy jelly is a game where the player has to cook and shape his own musical material, based on coloured jelly. With this noisy chemistry lab, the gamer will create his own jelly with water and a few grams of agar powder. After added different color, the mix is then pour in the molds. Few minutes later, the jelly shape can then be placed on the game board and by touching the shape, the gamer will activate different sounds. Technically, the game board is a capacitive sensor and the variations of the shape and their salt concentration, the distance and the strength of the finger contact are detected and transform into an audio signal. 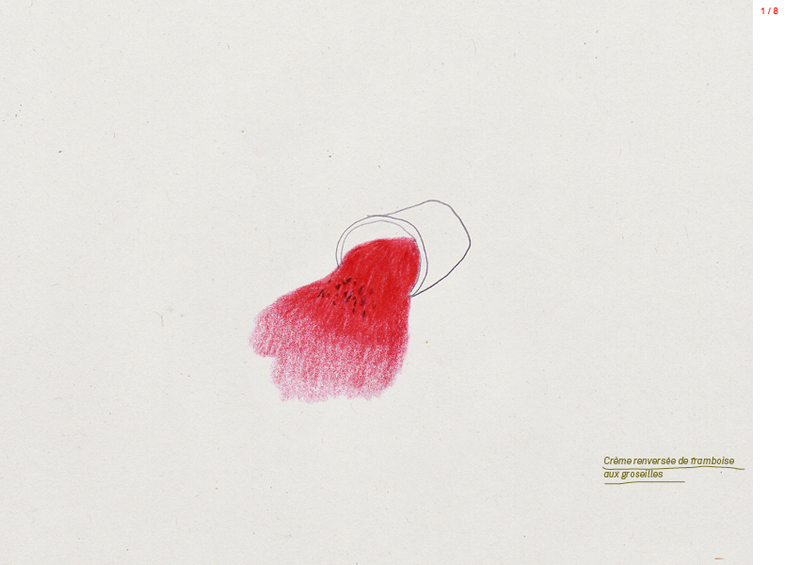 This object aims to demonstrate that electronic can have a new aesthetic, and be envisaged as a malleable material, which has to be manipulated and experimented. BAM is a bamboo-silicone composite for the kitchen. 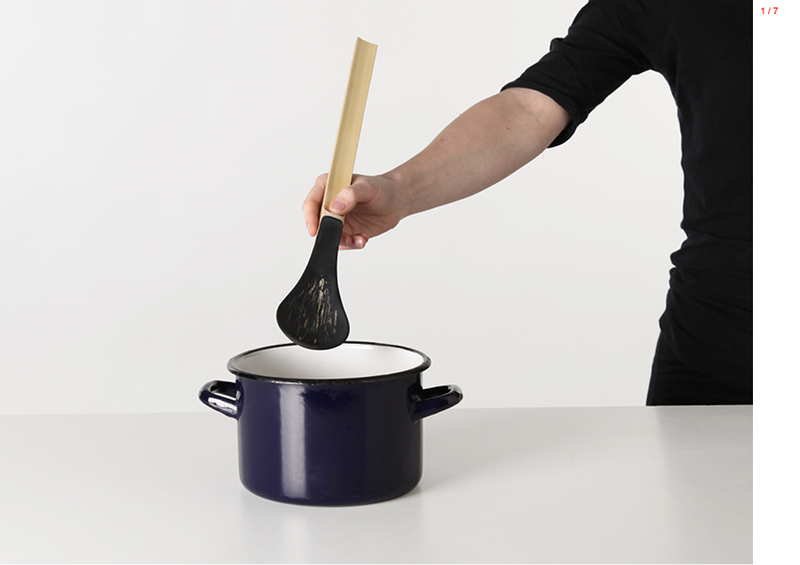 The kitchenware which has been produced in the present project is a spoon for risotto. The combined chemical properties of these two materials - one natural, one industrial - make it essential for cooking. On one side, the bamboo durability, its softness and its capacity to insulate against heat. On the other side, the flexibility and the food compatibility of the silicone. The bamboo handle is freely "unfibre" in its extremity so that the bamboo fibres can be spread into the silicone for a better rigidity. While the silicone gives shape to bamboo, the fibre helps to structure the silicone and facilitate its moulding. Bamboo and silicone get together in a soft and progressive connection. The complementarity of these two materials engenders a new composite made of plastic and wood material. 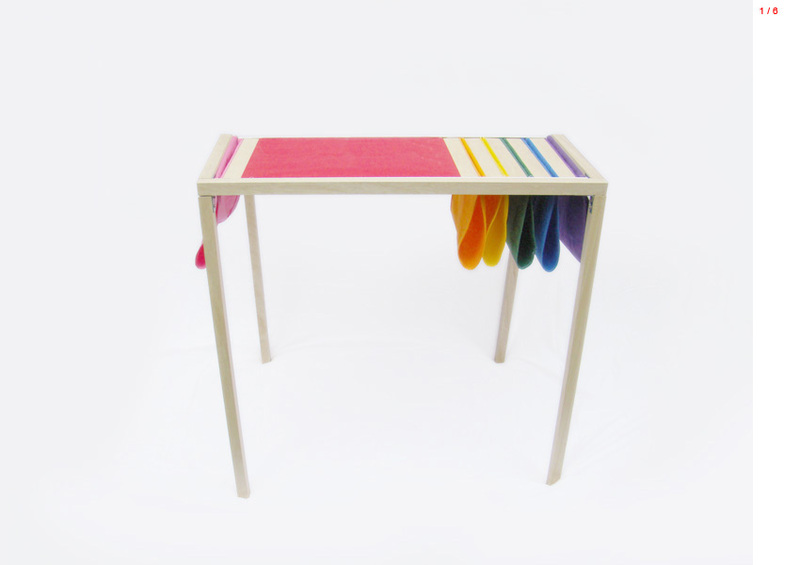 This project won the 2nd prize at Design and Innovation for plastic competition. In the frame of a one week drawing workshop organised by Javier Mariscal at Ensci-Les Ateliers, I worked from recipes names which are full of marvellous and carry by themselves pictures, and tastes and perfumes that I tried to translate into drawings. 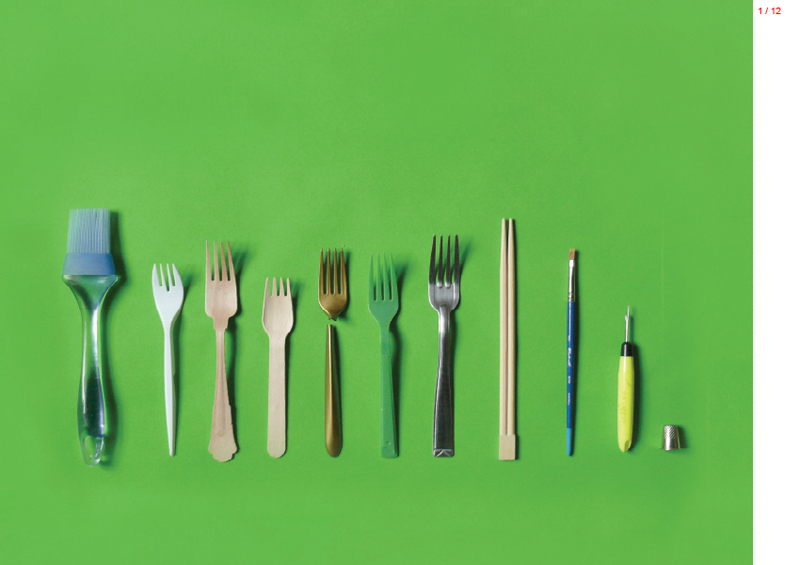 Research work into the role of tools in the tasting of food : can we transform our sense of taste? 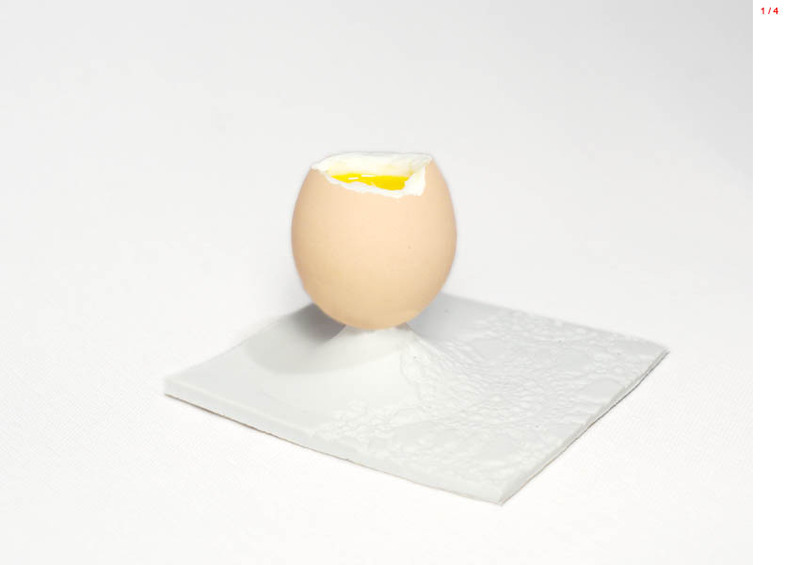 An extract from four days experimentation, eating the same meal each day while changing the tableware. A series of bowls was finally realised, each with a unique quality : shape, material, thickness, texture, finish, odour, sound which aims to season and enhance the taste of the food contained. to taste stronger, the soup sophisticated, the coffee creamy, the fresh cheese more dry, the ice cream fresher, the rice more sticky and the tea becomes smoke. On the one hand, a group of small businesses from the Jura region, experts in wood turning and wood milling. On the other hand, an area famous for its culinary specialities. Our project aims at binding these two elements to create a corporate identity of the Jura. 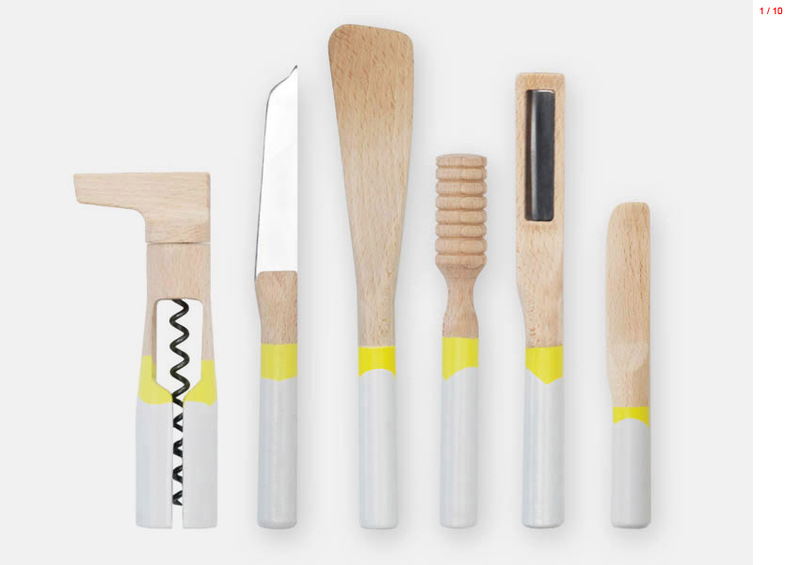 It is a set of wooden tools designed to taste and serve local wine, cheese and honey, three « AOC » products. All the tools are made of beech tree because of its compatibility with food. Each cheese has its own characteristic to which our tools try to answer. 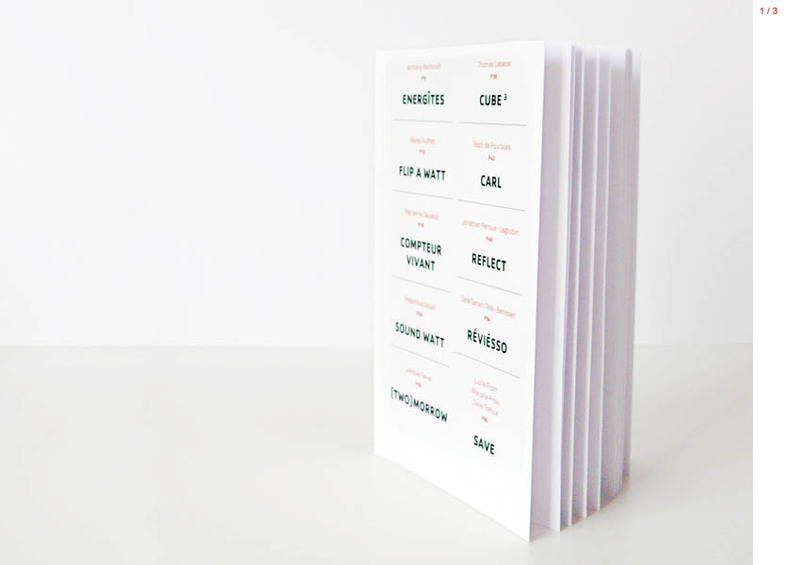 Design of a pocket-sized booklet which brings together ten projects of the digital ENSCI – les Ateliers’s studio. 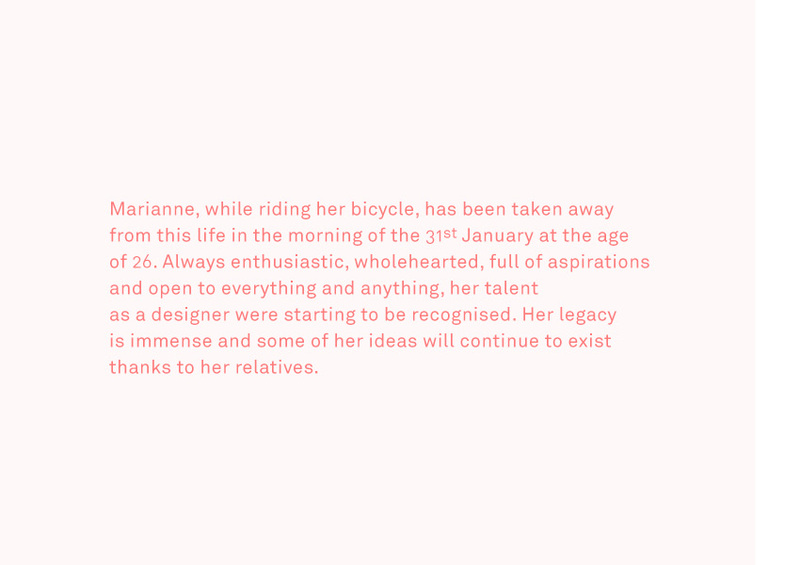 A challenge of hierarchy, readability and synthesis. The draisienne is one of the forerunners of the bike. Since it has no pedal, you have to use your feet to move it forward. Nowadays, it is a sort of toy which enables children to get familiar with the bike and especially to discover how to maintain balance. 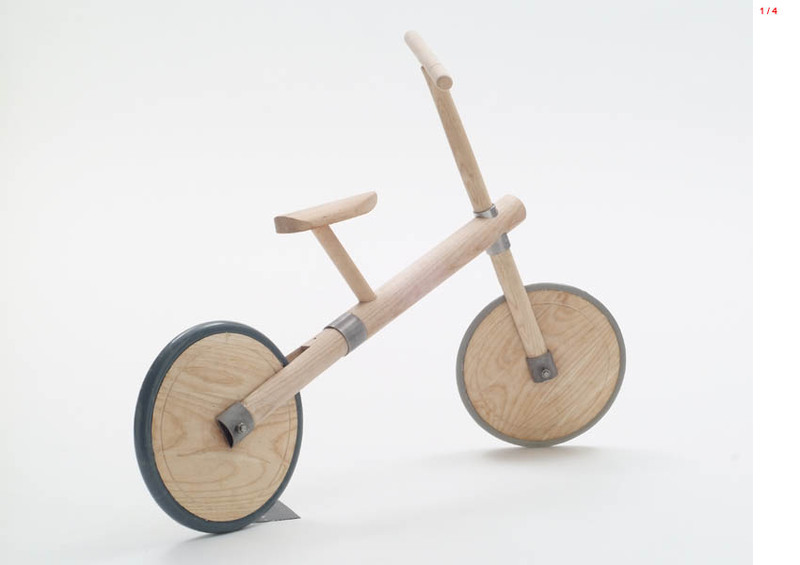 It’s an easily understandable object : even a child knows how to assembly it. The shape is both linear and archaic. We mainly used wood for its comforting aspect and we especially chose ash wood for its resiliency. As a manifesto, Living Meter is a smart meter which is able to evaluate household electric consumption. 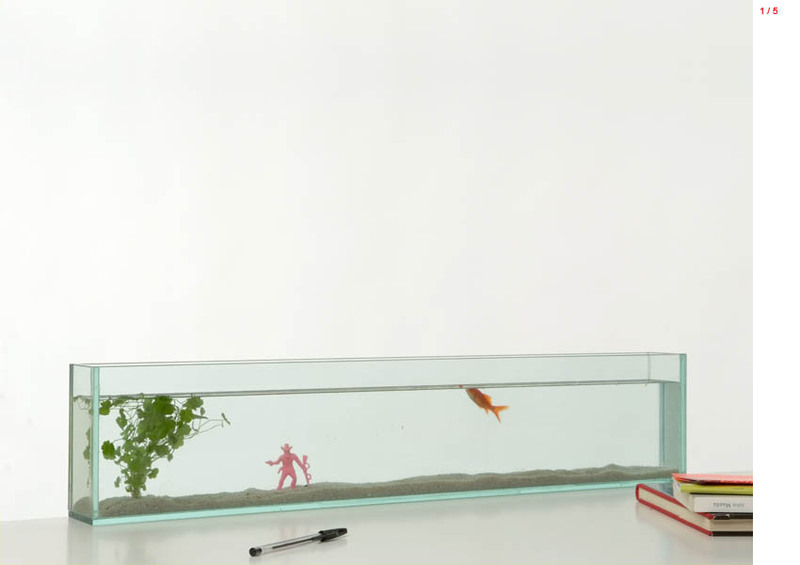 Composed of two parts : an aquarium and a widget which are able to dialogue one with another. The aquarium indicates your electric consumption while the widget offers a very precise analysis. Depending on the seasons and the activities of the house, you can adjust each month the amount of energy you will need. When you exceed the consumption level you chose, the aquarium blurs thanks to a liquid crystals technology and you can no longer enjoy the entertainment offered by the fish ! The naïve aspect of the goldfish plays down the importance of the energy issue which is often tackled with too much seriousness to bring some lightness. Research around hanging quality. The hanger induces a uneasy gesture and requires both hands. On the contrary, our object permits a minimum handling. 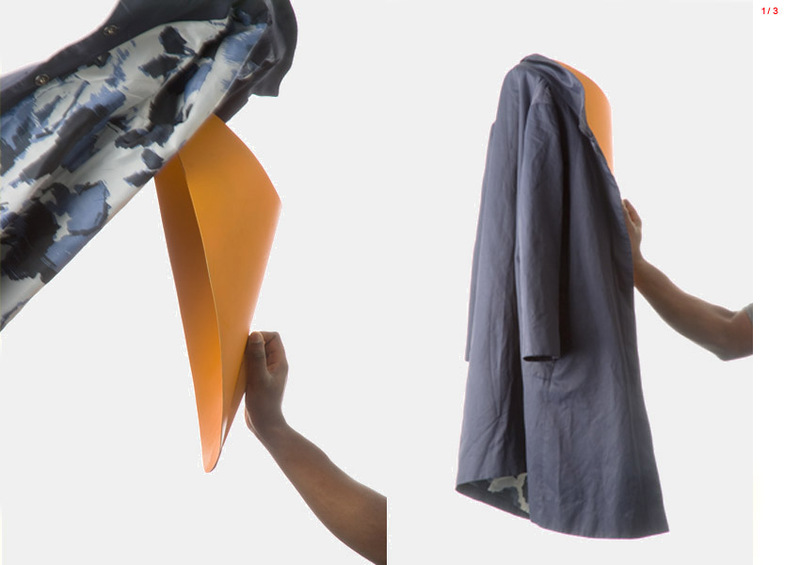 The coat is offered to see, it just follows the line of the coat rack's sculptural form. Made with a sheet metal curls on itself. Work partner : Daté Tete-Benissan. This type of furniture is a 18th century hight and precious writing desk. At that time, it was used to keep women's secrets. I drew my inspiration from a seven-drawer chest and worked on the notion of organization. You open a storage space by sliding the batten. I worked with the limited size of an A4. Thanks to a peripheral diffusion, this additional electric heater acts as a gathering point and offers a better proximity than a wall heater. It is made with a culbuto basis which makes it swing when heating because of its blowing system, indicating that it is ready to be used. Workshop with the ceramist Anne Verdier. I experimented this material making tiny porcelain plates of 2 mm. Then I threw some marbles of lead in order to observe the material deformation : the tiny plate passed from 2D to 3D. The print due to the fall of the marble reveals the fragility of porcelain. I was very interested by the issue of physical balance and therefore decided to create some packaging. 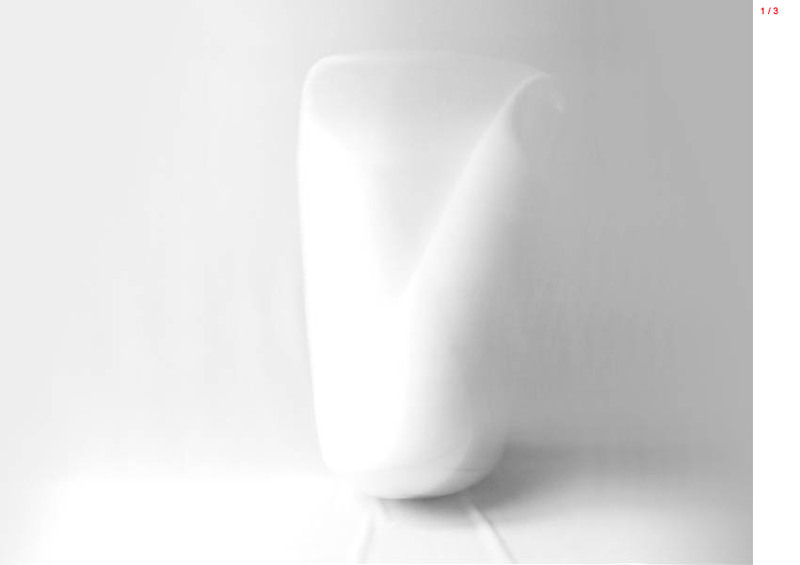 The prototypes were exhibited during the 2008 Design Biennale of Saint Etienne.